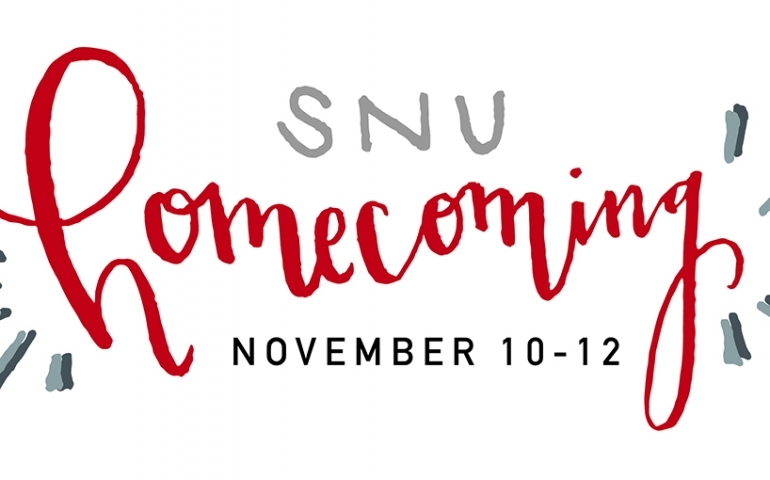 Homecoming week at Southern Nazarene University is here again and with it comes many fun and exciting events. Starting Thursday night November 10, Homecoming will kick off with Howdy Homecoming. The event will be held at Chester’s Party Barn from 8:00p.m. to 10:00p.m.. There will be line-dancing, two stepping, a hay ride, fried pies, s’mores and more. On Friday at 11:00a.m. is Homecoming Coronation in the Herrick Auditorium. Following that afternoon from 4:30p.m. to 6:30p.m. is the block party on College Street. There will be music, games, food trucks, and a great community for socializing. After the Block Party, the men’s basketball game will start at 6:00p.m. and be followed by the women’s basketball game at 8:00p.m..
Saturday morning is the First Homecoming Color Dash at the SNU Football Field. The Color Dash will be $5 for students, and tickets will be sold Monday, Wednesday, and Friday in the Commons. Line up for the Color Dash will start at 9:00a.m., and the actual running dash will start at 9:15a.m.. Afterwards, there will be donuts, coffee and a sendoff for the SNU Football team as they head out to their game against Oklahoma Baptist. At the same time, students who buy tickets will be traveling on buses to go support the SNU Football team at OBU. This year, there are different package options for homecoming events provided by SGA. The first package includes Howdy Homecoming, tickets to both men’s and women’s basketball games, and a food truck ticket for the block party. The cost of package one is either $8 without a crimson card or $6 with a crimson card. The second package includes a ticket to the football game at OBU, the bus ride there, a snazzy t-shirt and a pizza lunch. The second package is either $10 without a crimson card or $8 with a crimson card. Students can also purchase both packages for either $15 without a crimson card or $12 with a crimson card. Overall, buying both packages has a value of $27. Packages can purchased in the Commons lobby at the SGA table. There is a lot occuring for Homecoming, so in turn there are many opportunities to hangout with fellow classmates and alumni. Get out there and enjoy Homecoming… Bolts up!